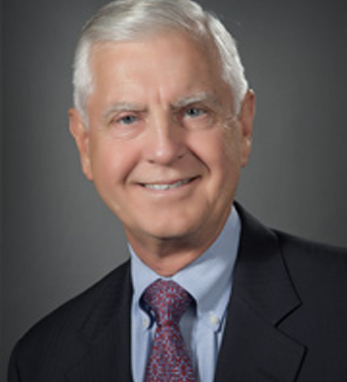 Lawrence G. Smith, M.D., M.A.C.P., is the Executive vice president and physician-in-chief of North Shore-LIJ Health System, and dean of Hofstra North Shore-LIJ School of Medicine. As physician-in-chief, Dr. Smith is the health system’s senior physician on all clinical issues. He previously served as North Shore-LIJ’s chief medical officer. Dr. Smith is the founding dean of the Hofstra North Shore-LIJ School of Medicine, which received full accreditation by the Liaison Committee on Medical Education and whose first class graduated in May 2015. Dr. Smith earned a Bachelor of Science degree in physics from Fordham University and a medical degree from New York University School of Medicine. His residency in internal medicine at Strong Memorial Hospital was followed by military service as a captain in the Army Medical Corps at Fitzsimmons Army Medical Center in Denver. Dr. Smith has held senior leadership positions in national societies for medical education and residency training, authored numerous peer-reviewed publications in the area of medical education, and has received many awards and honors from national and international organizations. He is a member-at-large of the National Board of Medical Examiners and a member of the Board of Visitors of Fordham College. Also, he is a former regent of the American College of Physicians and former member of the board of directors of the American Board of Internal Medicine. In April 2011, Dr. Smith was elected to Mastership of the American College of Physicians. His maternal grandmother emigrated from Donegal, Ireland at the turn of the 20th century, to be later joined by the rest of her family. Going back to his family’s roots, while planning the new medical school he visited Ireland’s medical educational institutions. Many of the ideas learned there were incorporated into the school.